Claudia Caudle - Realtor & Manufactured Home Specialist of California Homes Realty, Inc.
A Castle Beach native, co-founder Claudia started selling manufactured homes in October of 1988. With years of experience in customer service, Claudia quickly developed relations within the Santa Cruz area which led her to start developing a realty business and, thus, acquired her real estate license in 1993. Two years later, the California Homes Realty, Inc. was born. Since 1995, Claudia strives to give the best customer service and to find the best fit home for each client's needs. Dan Caudle - Broker & Owner of California Homes Realty, Inc. Since 1985, Dan has lived in Santa Cruz county. Following his move, he changed his career to Real Estate after getting to know the lovely people and area of Santa Cruz. In 1995, Dan became co-founder of California Homes Realty, Inc. with his wife, Claudia. Dan guarantees that manufactured homes are completed accurately and timely. He also owns his own real-estate brokerage and manufactured home dealership. If any major issues arise, Dan is always quick to finding the best solution to fix the problem. 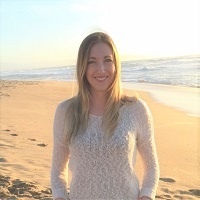 Jenny O'Neill - Agent of California Homes Realty, Inc.
As a Santa Cruz native, Jenny is familiar with the beautiful nooks and crannies that make up this glorious county, allowing her to find you the perfect location to accommodate your specific home location needs. When she is not working, she enjoys working out, reading, and spending time with loved ones. Jenny is passionate to help people in the community achieve homeownership and to sell real estate. 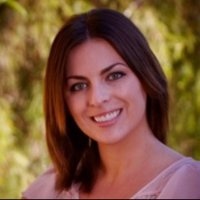 Karina Cosgro - Web Designer and IT Specialist of California Homes Realty, Inc.
Karina works behind the scenes to update the company website and social media. She also fixes up system issues on the company computers. Occasionally present at the office, Koda the white German Shepherd Dog is Karina's trusty sidekick. Karina's goal is to maintain reliable information to potential, present, and prior customers with an easy to access website.